So there we were, shiny new installs of Office 2013 x64 (with all three colors!) rolled out to our enterprise. 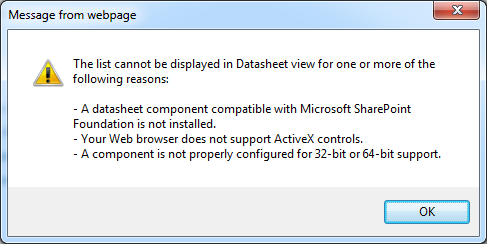 All was good in the world until we received a phone call from operations asking a seemingly simple question: “Why can’t I see my SharePoint lists in Datasheet view?”. 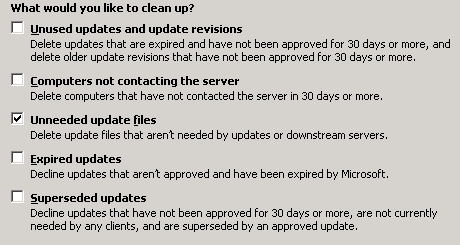 SharePoint 2010 (Enterprise or Foundation) lists do not work well with 64bit versions of Microsoft Office. This applies to both Office 2010 and Office 2013. You need to install “2007 Office System Driver: Data Connectivity Components” on each client workstation / PC which have a 64bit version of office installed. 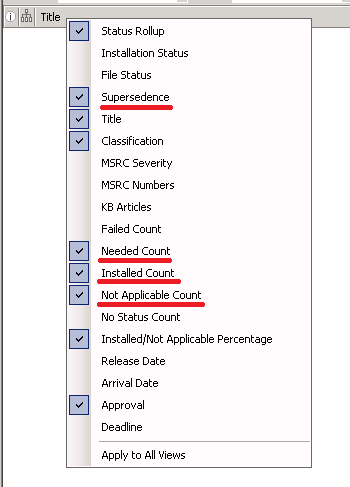 This install will put the necessary Active-X components on your workstations to allow SharePoint Datasheets to be used with 64bit versions of office. 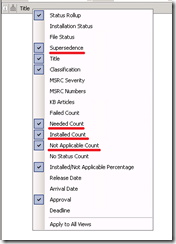 This entry was posted in SharePoint on January 27, 2014 by ArmgaSys.